I'm doing this post as firstly, I thought it was about time i did a personal post, secondly, not many people seem to be aware of this, and thirdly, if anyone asks me about what i have, i can simply send them this way! I think it was when i was 14 or 15 when i finally got told that I had an Underactive Thyroid. After months of being told that the way I was feeling at the time could be down to Diabetes and a range of different things, I was told and I could finally begin to understand what I was going through and what I was going to have to endure for the rest of my life. Your Thyroid is your biggest gland in your neck and it looks a little bit like a butterfly, two wings with left and right lobes wrapping around the trachea. The function of the thyroid is to make the thyroid hormone, this hormone affects nearly all tissues in the body and the main function is to regulate the body's metabolism. It was with these symptoms that I first went to the doctor; I was tired all the time to the point that I struggled to make it through the day without having at least two naps and school, where I was studying my GCSE's at the time, just became a nightmare. I was also just so so hungry all the time before I started controlling my thyroid; lunch was just never enough and I was snacking like the world was ending tomorrow! I still suffer from all of the symptoms, but they are more controlled now. An Underactive Thyroid is not usually majorly serious and the way I have to control it is by taking a daily hormone tablet called Thyroxine - the dosage of this tablet goes purely off how much the thyroid affects your body, but at the moment I have to take 120mg of the tablet daily, this will most likely increase the older i get. When i first started taking the tablet, I started on 25mg and I have had to take a higher dosage over the years. I suggest that if you have any of the above symptoms, then please go to your GP - many symptoms of an underactive thyroid are often confused for something else and therefore many times can be unnoticed for years. However, if your doctor suggests that you may a thyroid condition, you'll most likely have to have a blood test to find out. Funnily enough I had a huge fear of needles before I got diagnosed with a thyroid condition, but now i'm so used to them its ridiculous. If untreated, it can lead to complications like heart disease and pregnancy problems, so if you think you may suffer from this, then take my advice and get down to your doctor! Another thing that came along with the whole Underactive thing i've got going on was losing pigments in my skin, in other words, a Vitiligo Skin Disorder. There are loads of different ways to why you may lose pigments in your skin but people with an Underactive thyroid are more prone to it, hence why I have it! I first noticed losing pigments in my skin when i was 14 when I noticed I had a white patch around my eye, for ages I thought it was just a dodgy sun tan! However, it got worse and I soon learnt that it connected with my thyroid condition. The most frequent pigment loss is irregular white patches which develop all over the body, the most common being in areas on the face, hands, legs and arms but you can spot them anywhere really! The loss of skin pigments happens when melanocytes either do not function properly or die. "Vitiligo skin disorder may also be caused by stress that affects the immune system. The disturbed immune system may lead the body to react. As a result, skin starts losing its pigment. Vitiligo affects facial and body while hair on the scalp may affect the color of the hair, leaving white patches or streaks. Individuals with vitiligo are also somewhat more prone to other such autoimmune diseases as alopecia areata, Addison's disease, autoimmune thyroid disorders, diabetes mellitus, and pernicious anemia just to name a few." 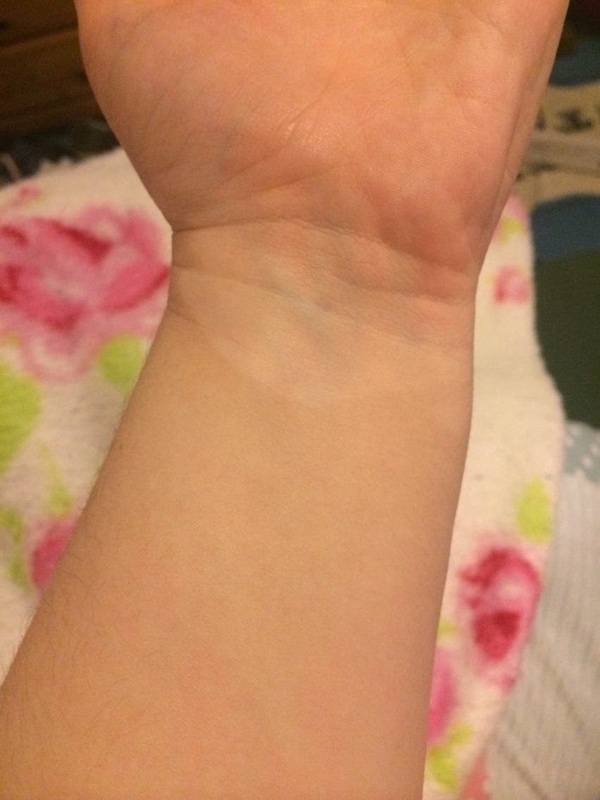 I actually forget all about my 'skin disorder' most of the time and i actually only remember i have it when someone points it out - its usually among the lines of 'whats wrong with your hand?' or 'haha that's a dodgy sun tan you'll have to get back out into the sun to even that out' - its actually quite amusing telling them that it is a genuine condition that i have! The main reason I don't think about it is because i'm used to it, and it doesn't bother me. A few people have asked if it bothers me and a few ask if its the same thing that Michael Jackson suffered from, like i seem to automatically know all about MJ's private life - but i've come to accept that this is just something I will always have and it will get worse, but it could be A LOT worse and its not the end of the world. Actually, an ex-boyfriend of mine actually liked it and said it made me different and who i am, which is a nice way to look at it i guess. 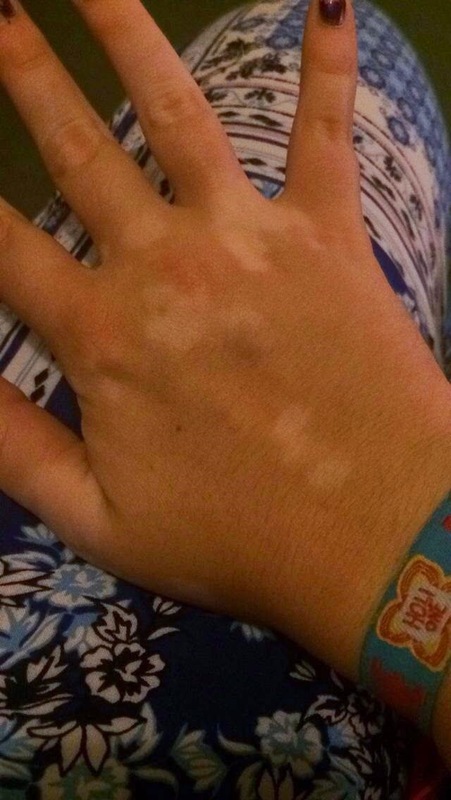 I have not found a way to 'cure' my Vitiligo but to be honest, as it really doesn't bother me that much i'm not exactly obsessed with the idea of putting tons of chemicals into me to cure something that doesn't keep me up at night! I have lost skin pigments all over my body, my photo's are just ones in obvious areas where people can see! Shouldn't really strip off for the sake of a blog post should i! I didn't want to make this post so boring and 'professional', however its difficult to make body conditions sound hilarious really isn't it?! 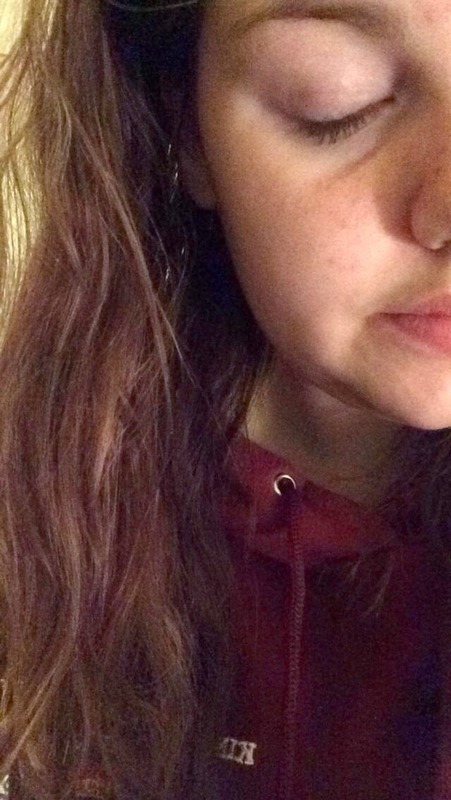 The main concept of this post is to spread awareness though and I really hope that if anyone reading this thinks they have either one of the conditions that I have and spoken about, that you get yourself down to the GP and get yourself sorted. Also, if you think you may suffer from either of these, then please don't go off my experiences - this is what has come out of it for me but you may be suffering from something else, the best thing to do is to seek advice from a professional. However, if you would like to discuss anything with me , please do not hesitate to get in touch!